​Package includes (4) E 835 and (2) E 210 Sub A components! See below for speaker specifications. Do you regularly play for 300 or more people? Then get in on the game with a rig made up of the new Elements Plus components, such as, the Acoustic Four Plus setup, and gradually extend it to a large PA. Elements is the only columnar system that can be flexibly configured, reconfigured and extended. 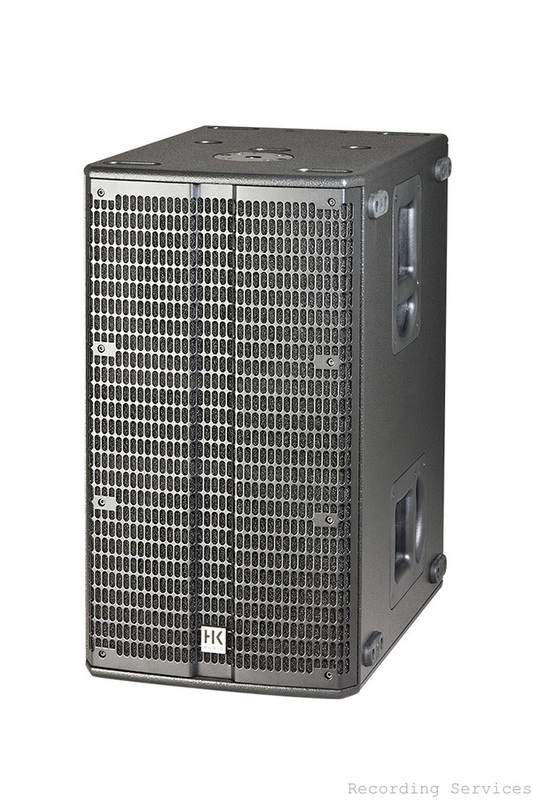 The reason for this is that Elements - unlike other columnar systems – is a genuine line array engineered to accommodate and harmonize with add-on components. Elements is small. Elements is large. Elements is mono. Elements is stereo. Elements fits your needs today – and for many tomorrows to come. 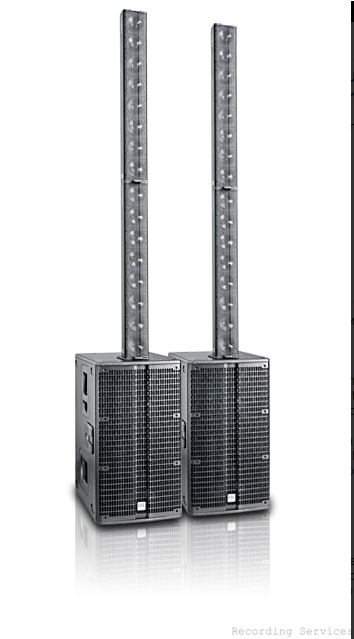 Featuring the latest-generation line array technology, Elements treats audiences and musicians to an unprecedented experience in natural sound. Listeners enjoy remarkably well-defined audio image at every spot in the room. Pleasantly assertive without being aggressive, the signal is not too loud up front and not too soft in back. An Elements system shows very little inclination to feed back, so it can be set up beside or even behind the musicians. No longer forced to fuss with separate stage monitors, you finally get to enjoy an authentic audio experience. You hear what the audience hears. And your instrument and vocals blend with those of your fellow musicians to make music the way it was meant to be made – intuitively, with musicians playing off one another. Only Elements is as musically inspiring as that. The best cable is... no cable at all! With the ingenious E-Connect coupler/bus, the Elements system is practically a wireless device (of course you can’t do without one mains and one signal cord). Elements also relegates heavy speaker stands to history so there’s less gear to carry and nothing left to lift onto a tall stand. 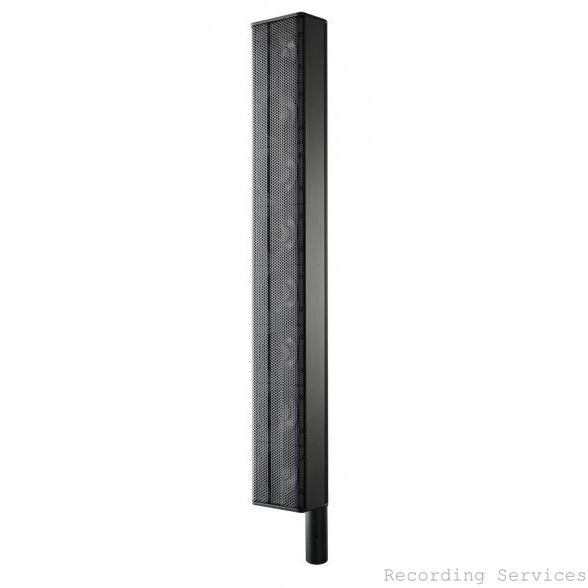 An Elements subwoofer also leaves a much smaller footprint system than a tripod. You are free to site Elements wherever it serves your purposes best - before, beside or behind the band – without having to give feedback more than a passing thought. If you’re wondering why Elements components are so extraordinarily light for units as powerful as this and so easy for one person to carry, you need only to look to its advanced, ultra efficient speaker and power amp technologies for an answer. And it’s this remarkable compactness that has made Elements the first bona fide PA to fit in an ordinary passenger car. Our engineers developed the E 835 mid/ high unit to afford you even greater flexibility when you want to set up bigger systems. Loaded with eight speakers, it can handle 300 watts at 8 ohms impedance. The E 835 comes highly recommended when you want to minimize the number of mechanical connections. The E 835 and E 435 mid/ high units’ design and tuning are identical, so feel free to combine them. Crossover frequency	140 Hz, 12 dB/oct. The new E 210 Sub A system subwoofer comes with two 1,200-watt amps in its engine room. Power amp number one drives the two internal 10' woofers, with plenty of juice left over to run an external passive type L Sub 1200. The second power amp delivers 900 watts at 2.6 ohms to drive up to three E 835s (or six E 435s).